Some of which you’ve probably not heard of. For most Singaporeans, credit cards are a means of either getting by when money runs tight or making a little extra purchases from time to time. But for the ultra-rich, credit cards are a symbol of power that comes with some very nice perks - from hotel upgrades and airport lounges to most coveted vacation getaways and private jet rides. The following are exclusive credit cards that the super rich takes pride in owning. They are only available to a small group of consumers, those who don't hesitate to squander hundreds of thousands of dollars at a moment's notice. Contrary to typical plastics, these prestigious cards are not heavily advertised and are only available by invitation. It takes a lot of money and a whole lot of status. Did we missed anything? Let us know by sending your message to research@charltonmediamail.com. This UOB Privilege Reserve Card promises of allowing you to enter a world of unprecedented privileges, where you won't be simply appreciating the finer things in life, but living it. To qualify as a UOB Privilege Reserve customer, you must either maintain at all times a minimum required monthly cash deposit and/or investment balance of S$2,000,000 (or its equivalent in a foreign currency) as the Bank may decide from time to time in any of your accounts or spend a minimum of S$150,000 per annum on your UOB Credit Card. Luxury Cruising Experience - Sail in style on our very own dedicated Privilege Reserve Yacht accompanied by up to 10 of your family members and friends. The UOB Visa Infinite Card claims that living the life Infinite is all about possibilities. This card which comes by invitation only allows customers to enjoy exclusive access to member-only clubs and complimentary golf privileges at prestigious golf clubs; and indulge in gastronomic dining privileges and intimate bespoke events. The UOB Empire World Business MasterCard bills itself as the ultimate symbol of success and luxury for the business elite. Cardmembers are granted extraordinary privileges and access to exclusive establishments, as well as the option to put their company's logo on their Card for a truly unique experience. Priority Banking Service - Enjoy privileged banking service, in addition to priority assistance and service, you can even have your trading requirements processed by a dedicated Trade Desk at the Commercial Banking hubs. Network of Savings - Take advantage of our wide network of over 600 merchants – from office supplies, logistics and even utilities industry – and save when you charge these essential business expenses to your UOB Empire World Business MasterCard. Cash Rebates - Earn cash rebates on all local purchases and bonus rebates on overseas spend when you charge to your Card. Use the rebates to offset your monthly outstanding balance. UOB SMART$ Rebate Programme - Earn SMART$ from over 550 participating retailers and restaurants and get up to 10% rebate all year round. Use your SMART$ to offset your next bill at participating SMART$ merchants. Be a Privileged Traveller - Enjoy a host of exclusive travel privileges and services with your UOB Empire World Business MasterCard. PruPrestige Visa Signature Credit card allows the owner to pay their insurance premiums through the PruPrestige Visa Signature Card and save himself the hassle of cash or cheque payments every month. Earn 1.5 points for every $1 charged to your card, which can be redeemed for rewards. Convert your 360° Rewards Points to offset your Prudential insurance premium payments. Enjoy 2 years fee waiver and free-for-life supplementary cards when you apply today. Our concierge helps you with travel arrangements, reservations, shopping and gift services. Standard Chartered Bank’s Priority Banking Visa Infinite promises the owner to experience unrivalled privileges tailored to their unique taste and lifestyle, and be rewarded not only on their credit card spending but the entire portfolio of accounts they had with them. The card offers suite privileges to complement the elite lifestyle. This card highlights include special dining offers from 25 restaurants like Amara Sanctuary Resort & Spa Sentosa’s Shutters and Tier Bar, Pan Pacific Singapore’s Edge and 10 at Claymore, Arashi Yakiniku and Arossa Wine & Grill are just few to mention. OBCO Elite World card also comes with hotel discounts and other travelling privileges from London to Australia, to Maldives and ect. It also features an experience a luxury concierge service for all the finer things in life. The Maybank Diamanté Visa Infinite Card claims itself as a passport to recognition wherever you travel in the world and provides a world of privileges including accelerated rewards and a host of exceptional Credit Card benefits. The HSBC Visa Infinite card helps owners find time for things that matter most to them. With privileges designed for the owner’s travelling ease, it claims of being a card for those who care to travel well. Earn rate of up to 2.5 air miles for every S$1 spent, you can jet-set to your ideal getaway faster than ever before. Travel accident coverage of up to US$2 million and emergency travel and medical assistance coverage of up to S$100,000. 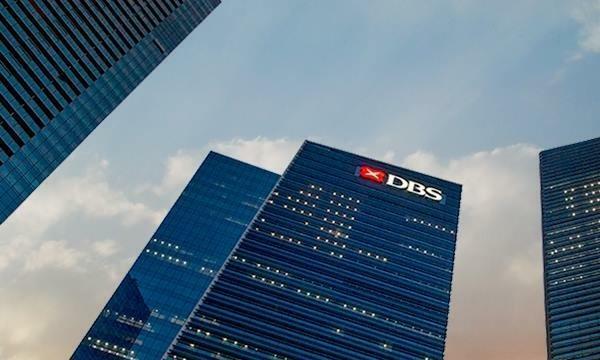 The DBS Insignia Visa Infinite Card bills itself as a personal insignia, placing the owner at the centre of a privileged lifestyle and worldwide recognition. This card also bill itself as the first card in Singapore with a credit limit of S$1,000,000. Customers must have an annual income of at least $500,000 to have the card and pay an annual fee of $2,000. The Citibank’s Ultima card is targeted exclusively at high net worth individuals with a minimum assets-under-management (AUM) of $5 million. Citibank brings the private banking relationship model to the credit card space, with dedicated relationship managers partnering credit cardmembers for their lifestyle and personal needs. This Ultima Card bills of offering unmatched rewards such as one of the best air miles conversion rates, unlimited access to over 600 premium airport lounges around the world, trips on a private yacht or jet and invitations to air shows in the region. Customers can also enjoy privileges and customised experiences at luxury retail merchants, gourmet events, restaurants and five-star hotels worldwide, which are over and above the exclusive experiences currently being offered. ANZ Signature Priority Banking Visa Infinite Credit Card is designed to grant the owners access to a host of unparalleled privileges that reflect their status and complement their lifestyle. Rewards Points 8X faster than other ANZ Credit Cards in Singapore on your highest foreign currency spend within each month and 2X faster for other foreign currencies and local spend. Enjoy complimentary and unlimited access to over a hundred Veloce airport lounges around the world. With Priority Pass, you can now avoid the hustle and bustle of an airport and have your own quiet space to get some much-needed rest or catch up with your work. Complimentary airport limousine departure transfer - Travel in greater comfort with our complimentary limousine transfer to the airport. Travel insurance - Enjoy travel insurance coverage of up to S$1.5 million for you and up to S$100,000 for your family plus travel inconvenience coverage of up to S$1,000. The world is your playground with The American Express Platinum Card which allows the privileged few to experience life with premium benefits. EXTRA from Membership Rewards - Earn more Membership Rewards points when you spend at Platinum EXTRA Partners in Singapore. Platinum Access - Take on an exciting lifestyle others can only dream of. Be at invitation-only events and enjoy exclusive access to some of Singapore’s top-notch members-only clubs. The Far Card Gourmet Membership worth $598 (inclusive of GST) - Enjoy year-round savings of up to 50% on dining with The Far Card, compliments of your Platinum Card Membership. Palate Premier Membership worth S$639.86 (inclusive of GST) - feast with your complimentary Palate Premier Membership worth S$639.86 (inclusive of GST). You’ll love the savings that come with it at over 40 outstanding restaurants and bars islandwide. Platinum Travel and Lifestyle Concierge - a team of professionals with their reservoir of contacts and resources that are fully dedicated to assist you both day and night, all year round. Embark on your travel adventures in style and ease with premium privileges reserved exclusively for the jet-setter in you. First 2 Supplementary Card(s) fee permanently waived - apply Supplementary Cards for your loved ones so that they can also enjoy the privileges of Platinum Card Membership. In addition, you will earn Membership Rewards points on all their purchases too. 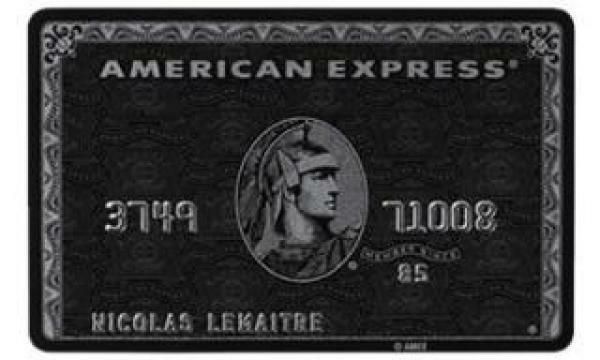 This is the near mythical black credit card that only a rare few are given the privilege to own. There’s an air of mystery as to the specific benefits of the card as AMEX doesn’t really make this information known to the public—but of course, that only adds to its appeal. The Centurion card in Singapore has its annual fee of S$7,490 (US$5,992) with an unlimited credit limit. The largest purchase ever made using this card was on a $36 million for a rare porcelain chicken cup.